The Children’s Library at the King Solomon School is centered around the school’s holistic approach toward education. 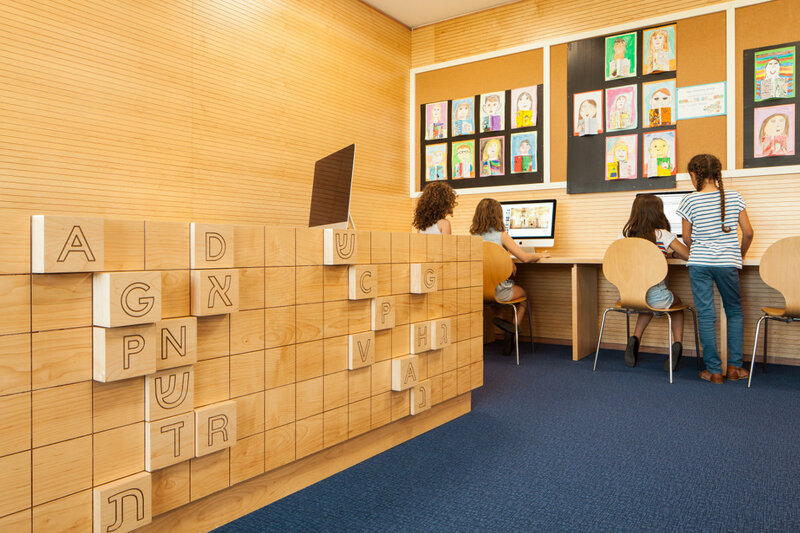 A library that encourages reading in a school based on technological advances served as a significant design strategy for the project. The design concept for the library came from the idea of traveling through the imagination, a journey inspiring children to learn in multiple ways. The library is designed with clean, formalistic lines that mix together different hand-made wooden textures and three-dimensional embossments. 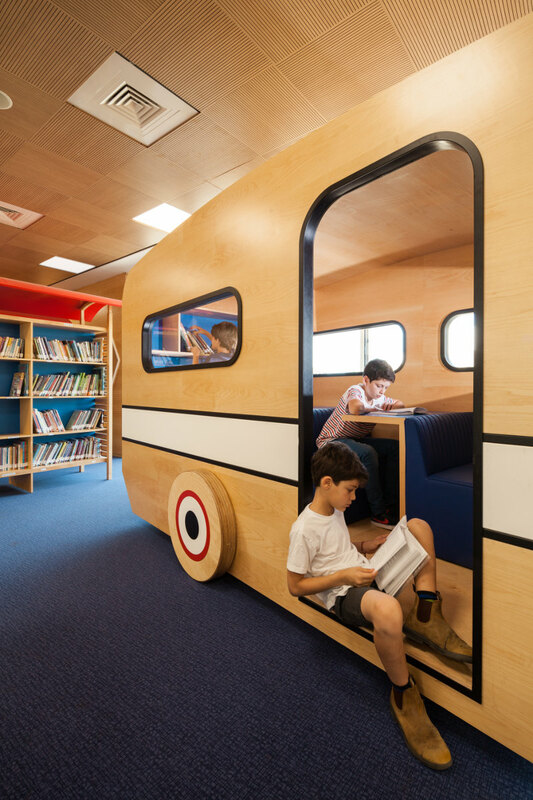 The focal point of the International Bilingual School's 120 m² library is the life size sculptural caravan. 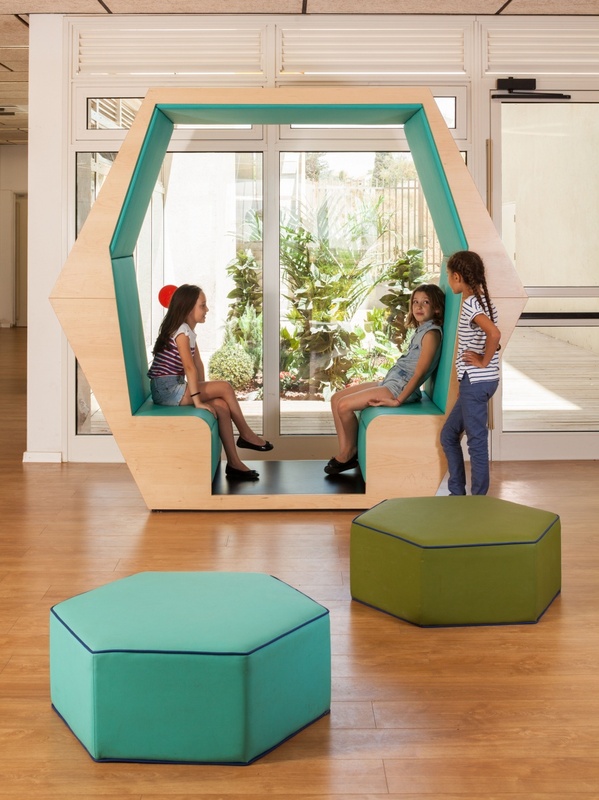 Removed from the public space, it provides a more private area for children to read and reflect quietly. 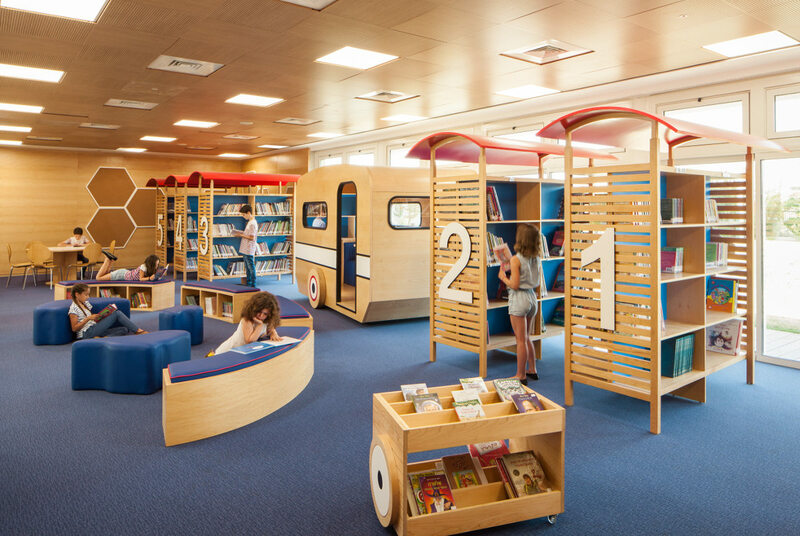 The library design reflects the change in the way children read and learn. 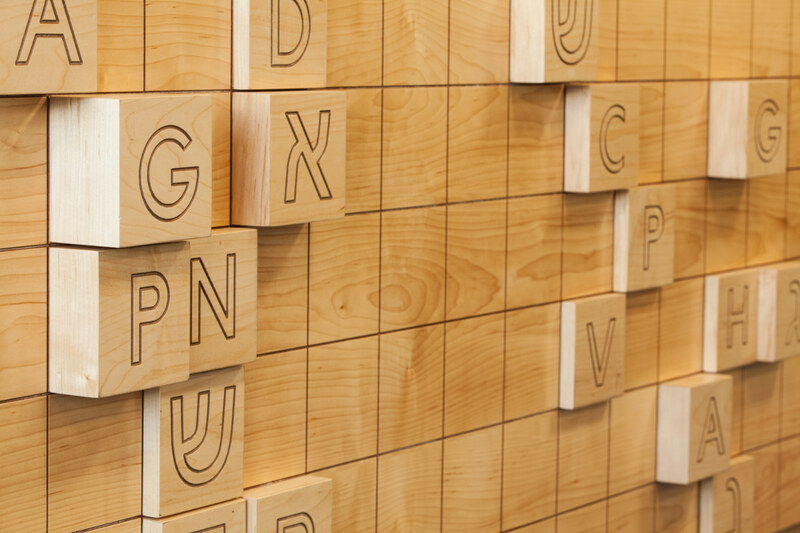 Over the past decade, libraries for children have changed, no longer a traditional warehouse of books, but a space both interactive and engaging.